This is it. 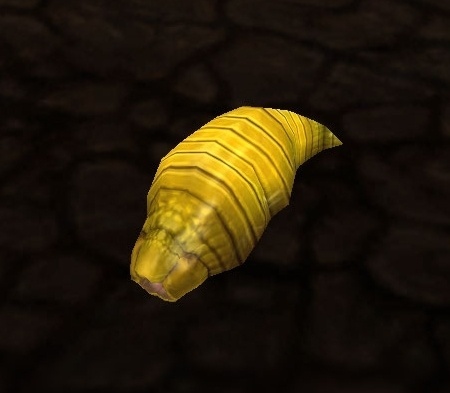 Want to make gold with tailoring? Try these! Tailoring is a unique profession, even vs. BS/LW, because Tailoring has a unique set of cooldowns (that are usually removed by the next expansion). The current tailoring cooldowns are for Dreamcloth. One cooldown for Dreamcloth, Dream of Chaos recently had it's cooldown removed. This one requires 8 Bolts of Embersilk Cloth (Equivalent to 2 stacks of Embersilk Cloth) and 4 Chaos Orbs. The other cooldowns you can only cast once per week, and require 30 Volatiles (Air, Fire, Life, etc.). The test here is, if you can get the Volatiles for cheaper than 4 Chaos Orbs, then do that cooldown. If you can't (Volatile Air *cough cough*) then don't burn that cooldown. Now for profitable uses of the Dreamcloth! other than acquiring the new Dragon Soul patterns, Dreamcloth can be used to craft Powerful Ghostly Spellthread and Powerful Enchanted Spellthread. These are BiS leg enchants for most casting classes and sell pretty regularly, but don't forget you do get your own for next to nothing! Right now the Vicious PvP gear market is pretty hot, believe it or not. No, it doesn't actually have to do with PvPers. People are leveling alts, and once they hit 85 they want to get their Vicious gear ASAP, to get into HoT heroics. To get all the patterns for the PvP gear, be sure to visit the tailoring vendor in your capitol city! These patterns all require Bolts of Embersilk Cloth along with Volatile Fire or Water. I personally like to craft 2 of each of these and keep both at the AH at any given time. My fallback price is 849g each when there are none on the AH and I'm willing to go as cheap as twice the cost of mats. Yes, the age-old tailoring money maker. Bags are not my favorite item to craft, mostly because on my server right now, the only bags with a decent profit margin are Netherweave, and they take FOREVER to craft. However if you are truely looking to diversify your Tailoring gold making strategy, bags are always going to make you gold. Check your server's prices, and utilize your rare(ish) bag recipes, such as Luxurious Silk Gem Bag, a reward from Molten Front dailies. Bags really round out well your tailoring profit potential, and shouldn't be overlooked, especially profession specific 36 slots! You'd be amazed at how some craftable items are great for transmog, one of my favorites is Mooncloth Robe. For mogging, the fastest selling thing you'll be able to craft is a robe, so go through everything you can craft as a chest piece, and start from there. Rare recipies on the AH can turn into great profits, as are unique models such as Arcanoweave Robe. Here is a list of all the rare and epic chests for tailoring. Also, beyond chests, if you have the willingness to farm some adds in Karazhan every week, I think these gloves look simply amazing. I originally wrote a post about something similar over a year ago, but I recently got back into doing this when I have had some free time in game, and it's a great way to amass a good amount of gold if you have Mining + JC or just JC even. If you don't have a lot of epic and rare WotLK cuts, start doing the Dalaran Jewelcrafting dailies on your Jewelcrafter. The quest is given by Timothy Jones in Dalaran and gets you tokens for epic and rare cuts (also it does not interfere with your regular JC daily). Sidenote: Resilience is a great seller to these markets. Now that you have some epic and rare cuts, you're going to want to obtain epic Wrath Gems. This market is huge and viable for both 70 and 80 twinks, and they sell great. Also, the cut rare gems sell well, and are byproducts of my method. There are two profitable ways of obtaining the epic gems. One way is to buy them for 220 Justice Points from any of these three vendors in Dalaran (probably the best way to spend excess JP). The other way is to attempt an Icy Prism proc. These create at least 3 gems, usually 3 rares, with a chance at a Dragon's Eye or a Wrath epic. This USED to be a daily CD in wrath, but as of Cataclysm, you can do it as much as you want every day, but may only have one in your inventory. You have to alternate between these two macros since you can only have one Icy Prism in your inventory at one time. So Wait...Where Does Mining Come in to All of This? Glad you asked. To get the mats for this, as well as some additional gold, I farm (that's right I said it...FARM my Saronite Ore from Wintergrasp. 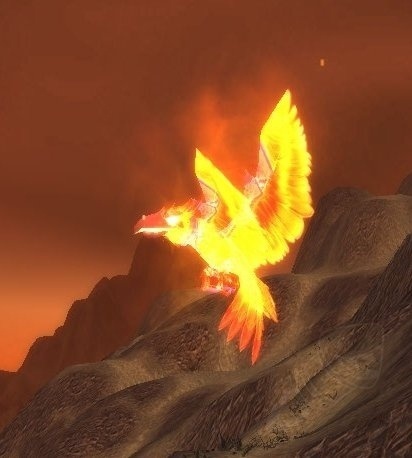 Doing about 2-3 rounds of WG on my Tauren Druid with +310% flying in a level 25 guild, I have about a stack of Titanium Ore, which I can sell for 500g/stack on my server, plus about 10-12 stacks of Saronite Ore, which I can prospect for common and rare gems for Icy Prism and Dalaran Dailies. Make sure you have the guild perk that allows extra procs :-). Disclaimer: I am not claiming that farming in this case or any is the most productive or best way to spend your time. It is however a great way to reduce your investment capital and come out on top! Hope you enjoy this method of creative Wrath gold making, I like to change up my methods every now and then to cut the drudge of my daily gold making routine...even if that means farming! What's your favorite way to make gold that you don't do on a daily basis?